Taking something for granted is the strangest human characteristic. 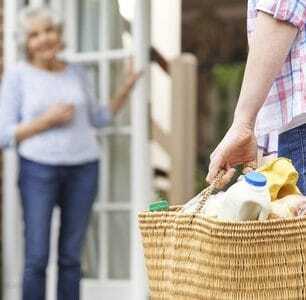 Assuming that the other person is there, that there are groceries in the store, that the baker bakes bread, that grain is growing in the fields and that the sun will come up tomorrow. Or that you accept people making assumptions about you. That you will do their groceries for them. Every Thursday. That you will pick the children up after school. That you will always iron the shirts. That you will cook every evening. You probably do it as a matter of course and out of love, but what it there is never any show of appreciation for it? Do people take you for granted? If someone makes assumptions about you, there is only one solution to break the pattern: set limits! Don’t just continue to unquestioningly do these things any more. Ask yourself if you want to do something. Do you really want to continue doing this? And if you notice that you don’t want to any more, you say, “You can bring the children to school from now on. I’m staying home”. ‘You’ll be doing the grocery shopping from now on.’ ‘You can iron your own shirts from now on. I’ll teach you how.’ ‘You can cook every Saturday from now on.’ ‘If you’ve got laundry, make sure it gets to the laundry room, otherwise it won’t be washed.’ People often do things for other people because of a feeling of guilt. How would you like to receive gratefulness? People can often continue to offer their assistance or work for others when the other person is grateful. But how would you like to be thanked? And does the other person know how? Is a grateful glance enough for you? Or, a short sentence, such as, ‘If I didn’t have you…’ Or, ‘Wonderful that you did the groceries. Now I can relax, knowing there is enough in the house.’ Or are you the type of person who really likes to receive a bouquet of flowers or a present every now and then? It may sound greedy, but know that it is very important to take gratefulness seriously. You have the ‘right’ to gratefulness. Know how you would like to receive gratefulness! What is your language of love? Do you like to hear words? See a happy face? Receive a present, once in a while, flowers? A hug or hand? Know how you would like to receive gratefulness and communicate it as well! And a little tip with that. Start with 1 thing! Otherwise, the other person can become spooked and the change is too great. It can then become a huge conflict. People don’t like change. Begin with 1 thing that is very important to you and communicate about that. When the other person has gotten used to that and it’s become a habit, which can take a few weeks, you can begin about the next thing you’d like to have changed. Because… announcing a change is one thing, but making sure that it actually changes is something else. That demands determination, repetition and more repetition. Just delegate! And don’t let yourself be tempted to pick the task up again yourself because the other person isn’t doing it. You’ll never get the work into the hands of another person that way. It demands patience, repetition and it has to become ingrained. And use humor! Keep it light. ‘Shall I warm the iron for you?’ ‘I’ve got the potatoes ready for you. You want to see if they are already peeling themselves?’ Of course, saying this without an undertone! 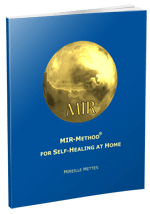 With the MIR-Method you are continuously working on your self-confidence. Feel free to do the MIR-Method longer than four weeks. As long as your self-confidence isn’t steady, continue. Your growing sense of self-worth will cause you to see more clearly when you are being taken for granted. People assume that you’ll take care of it. And you begin to feel uncomfortable about this, because your self-worth is growing. Because you feel that it’s too much, or it doesn’t suit you any more or even because you have the feeling you’re being used. If you do the MIR-Method, you see and feel with everything, ‘This is the limit, this is where I stop. I want to do other things, I can use my time better’. With the result that you drop whatever it is that you’re done with and don’t want to do any more. Relief! Freedom! I wish you much pleasure with your growing sense of self-worth and your process of letting go! My wish for you is that you can fill your precious time with the things that provide you with pleasure and satisfaction! And how about you? Have you stopped doing chores because of the MIR-Method because you were being taken for granted? I’d love to hear about it! Please write about it below. Thank you! Thank you too. I am taking everyone for granted. I feel so ashamed. Stress makes you do horrible things to people you love. And I am glad you can see that it is because you feel so stressed. When you have no room for other people, whatsoever, it is really hard to feel the room to appreciate others. Give yourself time, doing the MIR-Method, to give yourself more space and the appreciation will come. It’s a great step that you are aware of this now! I’ve been doing the MIR-Method for almost 6 weeks now. I notice that I sometimes take things for granted, thank you for the wake up call! My mother does many things for me, for example groceries, because I cannot always handle it myself. I did thank her for that with words, but I think I’ll buy her a present today for all this time that she helped me, because even if she is my mother, I shouldn’t take her help for granted! Thank you Mireille for your advice!